» Mes yeux ne pourrez-vous jamais forcer mon vainqueur a se rendre? 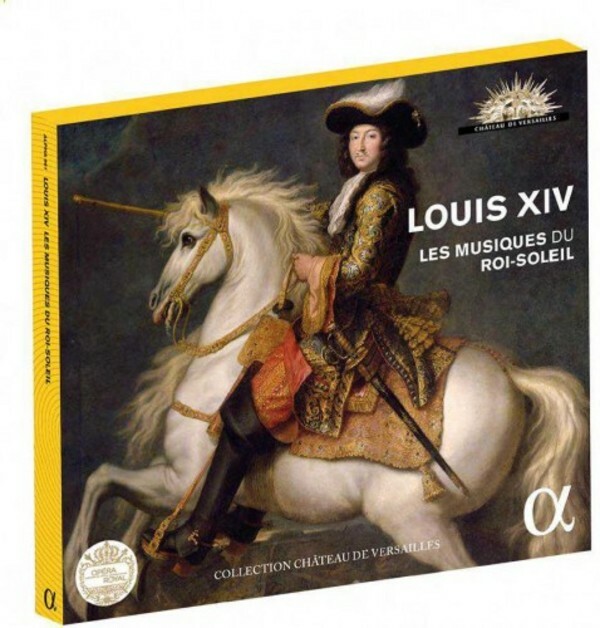 On the occasion of the tricentennial of the death of the Sun King, Alpha Classics, boasting a rich catalogue of benchmark Baroque recordings and a collection in partnership with the Ch�teau de Versailles, is celebrating �A reign full of music�. More than any other sovereign of his time, Louis XIV (1638-1715) loved the arts and was responsible for their exceptional development. All disciplines were the object of royal attention, thanks to both the considerable means that the monarch devoted to them and to the structuring of each of the Beaux Arts in an academy. The result was a fantastic harvest of masterpieces, a unique period when most of the disciplines joined forces to work on flagship projects, with unprecedented international repercussions. The artistic France of Louis XIV set the tone for all of Europe.